I began flipping houses in 2014 which enhanced my love for real estate and design. As my passion grew, I decided to further my education and become a licensed real estate agent. I also have a background in elementary education so, as an agent and educator, I focus on efficiency, communication and results from start to finish. Specializing in residential and investment sales in the suburbs of Chicago, I bring a creative, diligent and team approach to selling real estate and treat each client as an individual to help make the buying and selling experience an enjoyable and smooth process. I take pride in my attention to detail and put all my efforts into understanding the needs of my clients. I constantly educate myself on the latest trends in the marketplace, and It is my goal to extend the "royal treatment" to my clients all the time. 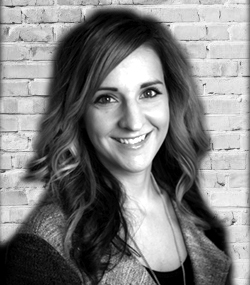 Bridgett provided me an excellent and confident home buying experience. She moved quickly when called upon and remained thorough throughout each step of the buying/closing process. She made herself consistently available and made sure I felt comfortable with each of my decisions. I highly recommend her to anyone in need of a reliable real estate professional. My experience with Bridgett Atwell was positive from the moment she walked in the door. She is a fun, easy going person to work with, as well as knowledgeable and informative. I would highly recommend her to anyone looking to purchase or sell a home.